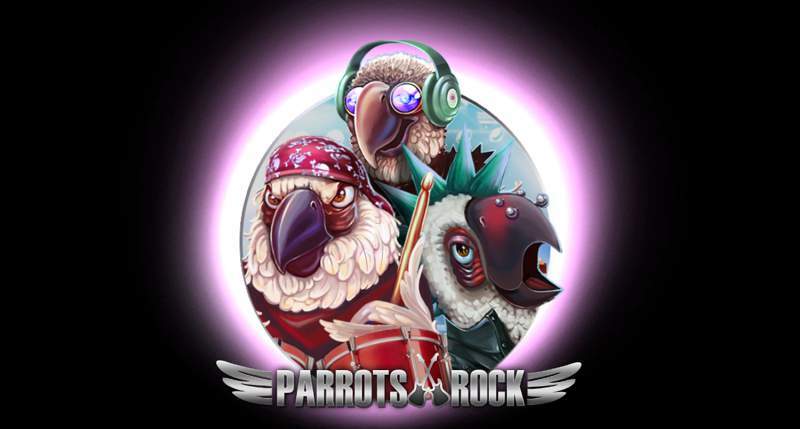 As far as original themes go, we have to say Parrots Rock from Spinomenal takes the cake! Honestly, who would ever make the connection between bird and rock music while combining features like Mega Symbols, Stacked Wilds, Instant Wins, free spins with Prize Box? Looking at the graphics, we’re not sure quite what to make of some of the crazy rocker parrot symbols making up the medium-value spectrum! They are certainly original, but we’d say borderline disturbing! You’ve got the parrot rocker on guitar, another parrot rocker on drums and of course a third parrot rocker on keyboard. Also, to round out the medium-value symbols are headphones and a microphone, followed by the A, K, Q and J symbol at the low-value spectrum. Well, you can’t have a rock theme without rock music, and so Spinomenal obliges and supplements it with additional audio effects from triggered features or winning paylines. The medium-paying symbols can appear as a mega-sized symbol, 2×2 or 3×3 spaces tall, which can appear on the 2nd., 3rd. and 4th. reels only. If you’re lucky, on any spin, stacked wilds may appear on the 1st. and/or 5th. reels which significantly increase the odds of creating a win. This feature is only available during the base game. Wilds can substitute for any symbol except the free spins and bonus. Combine five wilds on a winning payline to take home x150 bet per payline. A free spin symbol on the 1st. reel combined with the free spins symbol on the 5th. reel will trigger ten free spins. This feature cannot be re-triggered while it is running. The Prize Box Feature is active during the free spins feature where each spin will award you with a multiplier or additional free spins. During the base game, on any given spin it is possible that one or more bonus symbols appear on the screen awarding an instant win. Parrots Rock is a 30 fixed paylines 3-4-4-4-3 slot with an RTP of 94.5%. It has a maximum payout of 150 coins per payline. The slot scores top marks for originality and comes equipped with enough features to entertain. This November 2018, HTML 5 release is available on desktop, tablet and mobile and you can carry it anywhere on an Android or iOS devices. 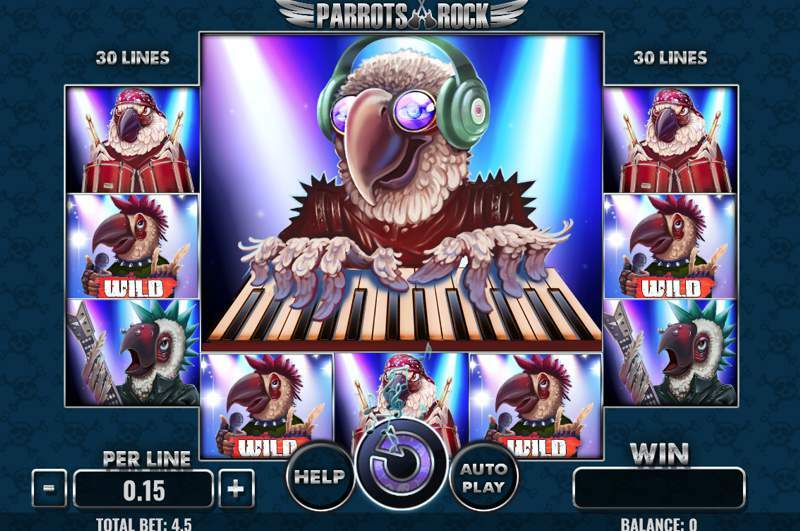 Parrots Rock is a crazy new rocker themed video slot game.